The American Tort Reform Association has issued a “Hailstorm Lawsuit Warning” for Hidalgo County, Texas, that may be extended to similarly plaintiff-friendly jurisdictions elsewhere across the Lone Star State where several thousand hail damage claims are now being filed annually, according to Steven Badger of Dallas-based Zelle LLP. 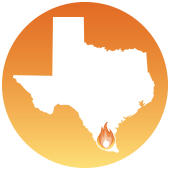 Bad weather happens, especially in Texas and other Gulf Coast states. Often it’s hurricanes that cause most of the damage in this region. But with the hurricane front relatively quiet since Ike in 2008, knock wood, the flood of storm claims more recently has been driven largely by alleged hailstorm damage. And Hidalgo County remains at the eye this storm. More than half of the roughly 21,000 hailstorm suits filed in Texas between 2012 and 2015 were filed in this largely agricultural county at Texas’s southern tip along the Rio Grande. And in 2016 it remained a favorite jurisdiction for hailstorm plaintiffs’ lawyers, particularly for Steve Mostyn and his associates at the Houston-based Mostyn Law Firm. A self-described pit-bull, Mostyn persists in his hailstorm practice even as insurers have begun to fight back and some judges have become sufficiently critical of his co-counsel’s conduct to begin issuing sanctions. But as regular readers of this report have learned, many personal injury lawyers have come to believe that they don’t need to win every case, they only need to win often enough to get rich. And certainly the multimillionaire Mostyn has won often enough to get rich. And his wealth has enabled him to become quite the generous contributor to the campaigns of lawsuit loving politicians and judges. But we digress. Although Mostyn is arguably the creator of the mass-tort litigation model following natural disasters, he is far from the only Texas-based plaintiff’s attorney to take part in this scheme. The State Bar of Texas recently suspended trial attorney Kent Livesay for one year for engaging in illegal case running related to hail claims, and Texas-based firm Speights & Worrich is essentially dissolving in the face of a class action barratry suit against it for hail-related litigation activities. In something of a pleasant surprise in March and April of 2016 a federal judge with a lifetime appointment to the bench and no need to curry political favor with the likes of Mr. Mostyn dismissed several of his firm’s storm suits against insurance company defendants. Judge Alvarez also ordered Mostyn to attend a “show cause” hearing in May, during which he tried to persuade her against leveling sanctions against him and his firm. She admonished him for bringing groundless cases and urged him to sternly warn his junior associates against doing do. He said he would, and she did not order sanctions immediately, saying she would further consider the matter. But in late July 2016, U.S. District Judge Ricardo Hinojosa was less equivocal. He dismissed another 17 hailstorm cases, all originally filed in Hidalgo County by Mostyn or his associates. Three of those dismissed were filed in the name of Mostyn serial plaintiffs Mark and Kelly Dizdar. One of their cookie-cutter suits were among those dismissed earlier by Judge Alvarez. And Judge Hinojosa went a step further by sanctioning Mostyn’s co-counsel in two of the cases he threw out. Thankfully, there have been a number of additional court defeats for Mostyn and other storm-chasing lawyers in 2016. But defendant insurance companies certainly can’t win them all, and all their litigation costs must ultimately be passed onto their homeowners policyholders across the state in the form of higher premiums. Some of those annual premiums have gone up more than 100% in recent years while thousands of former policyholders have lost their coverage altogether as at least three insurance carriers have simply stopped writing policies altogether in litigious Hidalgo County. No one disputes that insurance companies should promptly and fully pay to repair building components damaged by hail consistent with the terms of their policies. Insureds should be brought back to their pre-loss condition with materials of like kind and quality. . . . And when insurance companies knowingly fail to meet these fundamental obligations, they should face penalties . . . .
Conversely, insurance companies . . . should only be obligated to pay claims consistent with the terms of their policies. They should not be asked to pay for roofs simply because they are old. They should not be asked to pay for damage that occurred long before their policies incepted. They should not fund vacations or new cars by paying for building components, like fences and bricks, that are not damaged and that the insured had no intention of ever replacing. And, most critically, they should not be forced into the untenable position of settling meritless lawsuits – lawsuits often filed without their insureds even knowing they are plaintiffs – simply to avoid the cost of litigation. A week later, Badger wrote again in the Claims Journal, this time laying out a thoughtful and well received blueprint for reforming a system that simply lets too many unscrupulous parasites profit at the expense of honest, hardworking homeowners and premium payers. There’s more to Badger’s comprehensive blueprint, and it’s unclear how much (or any) of it Texas lawmakers in January 2017 will be inclined to consider. But Texas Lieutenant Governor Dan Patrick has already made stopping hailstorm lawsuit abuse a priority item for the upcoming legislative session. And ATRA’s sources in Austin say a strong coalition of lawmakers is gearing up to move a storm lawsuit reform measure. In the interests of both justice and affordable insurance, here’s hoping they can push sound legislation over the goal line.